What is Chemical Mechanical Polishing? Mechanical action (a polishing pad and retaining ring) helped with a chemical substance (abrasive and corrosive) named slurry (commonly a colloid). A slurry is a thin and viscous fluid mixture composed of a pulverized solid and a liquid. The pad and the wafers are pressed together (according to a precise and controlled pressure) by a dynamic polishing head. This head is rotated with different axes of rotation. This process enables the elimination of any irregular area in order to get a silicon wafer completely flat and planar. It is necessary to follow this procedure to succeed a Roughness down to the Angstrom and a Total Thickness Variation (TTV) as low as possible. 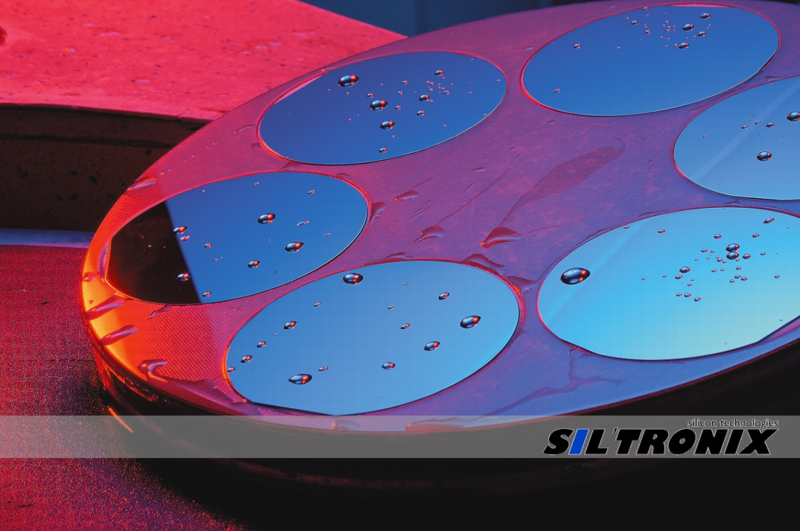 This process achieves super-flat silicon wafers, mirrored surface with an extra low roughness. Only one side is polished, the second one presents an etched surface named “backside”. Two sides are polished. This process is suitable for highest flatness. The “Final Polishing” process generates the final roughness of the wafer. With the standard process the RMS (Root Mean Square) is closed to 5 Å. On demand, we perform a specific “final Polishing” process to reach a RMS less than 3 Å.